Norwegian inmates lose their right to freedom but not to state services like health care. Dentists, doctors, nurses and even librarians work in the local municipality, preventing a subpar prison standard from developing. 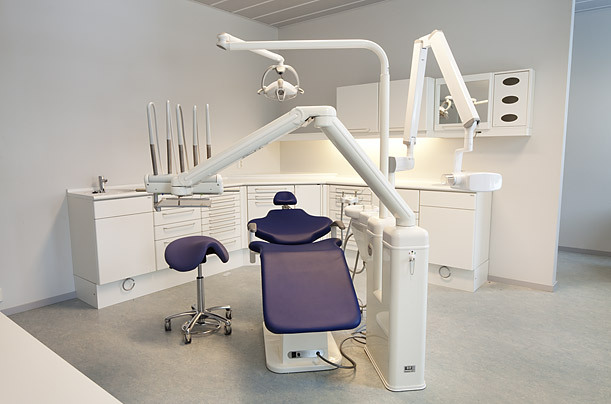 On-site, Halden boasts a small hospital and this state-of-the-art dentist's office. Photo taken 2010.